Sporadic timer tool will let you set a specific number and will count up or down to that number. It also allows you to set a specific action once the counter is finished for example the timer will count down to 0 and then show a message or redirect. Sporadic timer comes free with your AffKit membership. 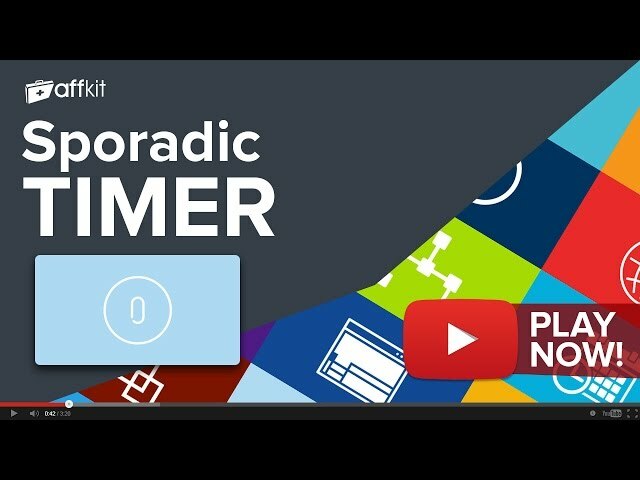 Sign up now to have full access to Sporadic timer and another 20 must use tools. If you're already a member you can Log in now or Sign Up to get access.